Hunting is a kind of sports which is getting popular day by day. Whether you are a professional or novice hunter you feel a great thrill while outing for hunting. Hunting is really exciting but sometimes it can be dangerous if you are not educated with hunting safety tips properly. 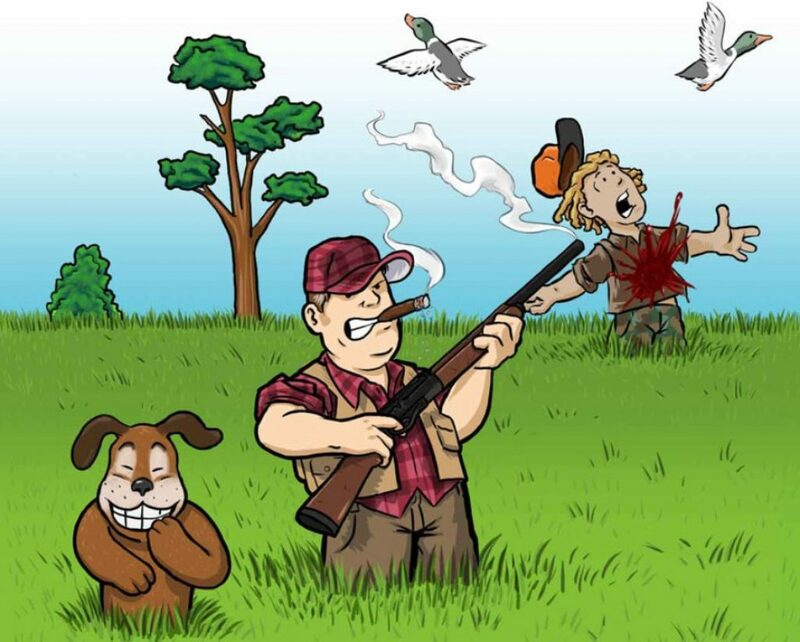 Every year a huge number of hunters get injured due to the lack of adequate hunting knowledge. 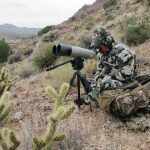 However, you should be knowledgeable about various types of safety precaution for making sure that you and anyone nearby you are safe while hunting. Hunter Judgment Mistakes: Due to the unawareness of checking what is foreground or beyond the target can cause a serious accident. This actually happens when the hunter is very excited. Safety Rule Violations: Safety rule violation means aiming at an unsafe direction, careless about crossing the fence or difficult terrain and so on. Violation of safety rules can cause severe injuries even death. Lack of practice: The most common causes of hunting accident injuries include lack of proper practice. There are a lot of novice hunters don’t know how to aim at the target. As a result, the hunter fails to identify the target and mistook the victim for the game. Mechanical Failure: Guns, like any other piece of mechanical equipment, are prone to malfunction. Whether it is jamming or misfiring both are the reason for the complete failure of the gun function. So you must know how to deal with them. Hunting is not a joke. Hunters need to go to the deep forest, snowy regions, and desert areas too. Without having proper fitness and brave heart your hunting journey can cause the reason for heart attacks. A hunter needs to carry a heavy a backpack and a weighty firearm too. While walking a long way carrying such bulky gears is not an easy task. This is why hunters should be active and physically fit. Choose a weapon depending on the type of animal you are going to hunting. There are wide varieties of hunting weapons made with special features to deal with your specific needs. A deer hunting gun is not similar to a bird hunting gun. Besides that, you are required to look at the following issues to make a safety hunting journey. Flashlights & Spotlights: The best time for hunting is early morning and late evening. Hunters need to go to a deep forest to prey deer or other clever animals. To have a clear vision of targeted animal you must need to keep a flashlight and spotlight. This tool not only offers your clear vision but also keep you aware of the surrounding. Hunting Decoys: This is a kind of trap that attracts your prey to get trapped. Whether you look for a duck or cuckoo you can use hunting decoys. Knives & Hunting Tools: This tool is used for making the prey to be used as food. You can use this tool for cutting, digging, splitting. Hunting knives are the first aid tool work as a hunting weapon. Headphone-Type Hearing Protectors: In terms of shooting with a firearm you should use headphone-type hearing protectors. Protecting you from harsh sound these gears provide you reasonable sound. You can use them for a long time. Different Types of equipment For Different Prey: Regardless the regular hunting types of equipment there are some other pieces of equipment those are made for dealing with your specific needs. Folk think that, carrying only the basic tool can make a successful hunting journey. Unfortunately, this is not true; you should take proper equipment that matches your specific needs. Keep the firearm in a safe direction: Never keep the firearm pointing to you or your partner. Always keep it away from you and others. Prior to using the gun, you can test it in a safe setting. You should point down towards the ground during get out the gun from the car. 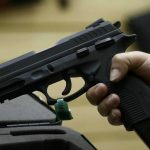 Unload The Gun When It Is Not Used: A loaded gun is a concern of worry. You should the gun load with ammo while shooting at your prey. After finishing hunting unload the gun as early as possible. Be careful while crossing a fence or climb a tree when you are equipped with the gun. Be sure your target and what’s behind it: There is no way to change the bullet back once you pressed the trigger. Targeting at a prey without confirming anything behind it constitutes disregard for the safety of others. Never pull the trigger until you confirm your shoot. Use correct Ammo: Ammunition varies from gun model to model. Improper use of correct ammo can cause a serious injury to you and also damage your gun as well. Before use, the ammo make sure it is for your gun not. To check out the proper ammo you can go through the user manual of your gun and ammo box. If you are a novice hunter you should take part in a hunting safety course in your area. Safety course allows you to learn how to handle the gun, what safety gear you need to hold and the basic rules of hunting safety guide. Besides that, you can learn hunting law of your locality and when the best hunting time starts. Hunting course is not only helpful for the novice hunter but also works very well for the professional hunter. There are some regions where fall snow or heavily forested. Seasonal hunting lets you get educated with the environment and how to take care of you. If you go to those areas you should wear a visible dress, take first aid tools and also take a permission of that region as well. Bow hunting needs a lot of stamina and force. You should take some precautions as like gun hunting. First of all, check out your bow thoroughly prior to going hunting. If the string seems frayed replace it before using it. A snapped chord can cause of miss target. When you pull the wire with arrow you feel like it hits your face for being loose. Wearing proper arm guard you can yourself safe from any unwanted injury. Also, make certain to wear proper arm guards to protect yourself from injuries from snapping strings or string rebound. Hunting is fun but it can be a deep concern when you are careless about hunting safety tips and tricks. There are a number of hunters lost their lives and get injured every year only for not being conscious about hunting safety. If you are a novice hunter and like to enjoy hunting as an adventure you should follow hunting tips and tricks. Always let someone know where you are going and when you plan to return. Make your hunting journey worthy and enjoy it with great enthusiasm by going through the hunting safety tips and tricks. Happy hunting! !